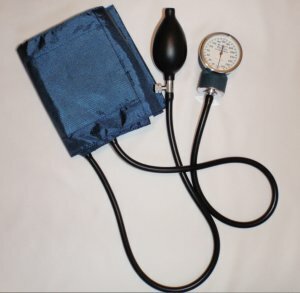 Several research articles and numerous case studies have reported reduction or resolution of hypertension in patients undergoing chiropractic care. One notable study, Atlas Vertebra Realignment And Achievement Of Arterial Pressure Goal In Hypertensive Patients (Journal of Human Hypertension (2007), 1-6), was undertaken by i nvestigators at Rush University's Department of Preventative Medicine in Chicago, after a medical doctor noticed that a number of his patients who had experienced "unexplained" resolution of high blood pressure were under the care of the same local chiropractor. Curious, this doctor decided to conduct a double blind, placebo-controlled study to explore the hypothesis that realignment of one particular bone in the spine could positively affect blood pressure. The results of his study indicate that chiropractic adjustment of the top bone in the spine "is associated with marked and sustained reductions in blood pressure similar to the use of two-drug combination therapy." A study by Welch and Boone in 2008 demonstrated a significant decrease in diastolic blood pressure and resultant increase in pulse pressure after chiropractic adjustment to the cervical spine. Click here to read the abstract for their study. This study also provides a concrete demonstration of physiological effect resulting from chiropractic adjustment.